The Vaper Empire Vibe Series vapour pipe is the future of vaping with its powerful battery, sleek aesthetics and voluminous tank. It doesn’t matter whether you are a first-time vaper or enthusiast you’ll be impressed by how easy the vibe is to use and it’s amazing vapour production. The Starter Kit comes equipped with a large 2000mAh battery and huge 4ml tank which means less refills. It also comes with 2 coils and 2 spare drip tips as well as USB power cable and adapter. All you need is some e liquid and you’re all set to start vaping. IMPORTANT NOTE: The VIBE offers a strong hit. We recommend that you choose a lower nicotine e liquid strength & upon first use, allow new coils approximately 10 min to absorb the e liquid. 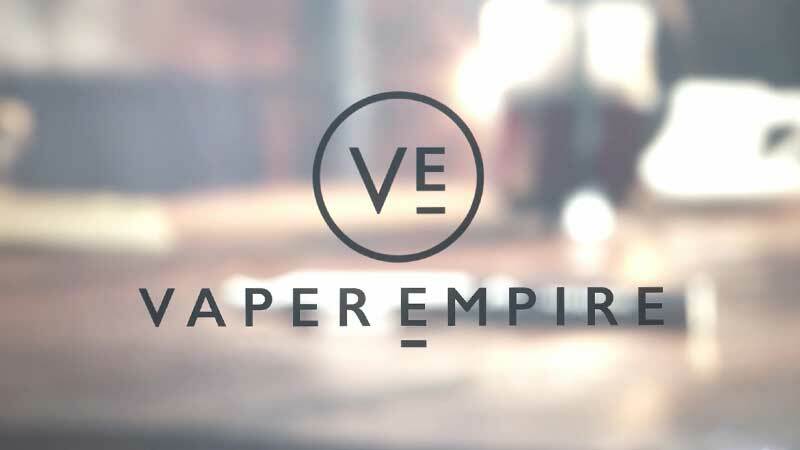 The Vaper Empire Vibe series has been created to give a superior vaping experience by combining amazing functionality with a user-friendly design. The Vibe device not only looks great, it sits perfectly in the palm of the hand exuding quality. 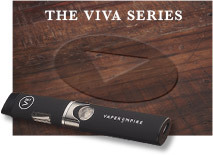 Amongst all the Vaper Empire products the Vibe provides outstanding convenience. With a huge battery that requires minimal charging and a large 4ml tank the benefits are clear. Not to mentioned it’s robust and durable construction. 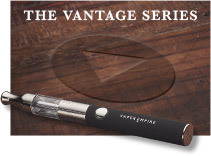 The Vibe has a choice of 2 mouth pieces (or drip tips), which allow for a more customised inhalation. The thoughtfully designed curved mouthpieces allow for optimal vapour production produced by the impressive 2000mAh battery. Along with the remarkable long coil and organic Japanese cotton the flavour profiles are enhanced to deliver an outstanding tasty vape. The huge 4.5ml tank works beautifully with both our Classic and Artisan ranges producing a flavoursome vapour, perfectly balanced to allow for an easy transition from tobacco to e liquid. For those making the switch a full tank of e liquid is approximately equivalent to 40 cigarettes keeping the average smoker going for 2-3 days. This means less time refilling your tank and more time enjoying the delicious, enjoyable vape, all while making great financial savings compared to cigarettes. 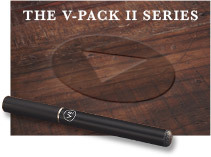 The Starter Kit includes one large 2000mAh battery, 2 coils, 2 mouthpieces, rubber seals and a USB power adapter and a charger cord. All that you need to do is choose from a large variety of e liquid, fill the tank and you are ready to go. 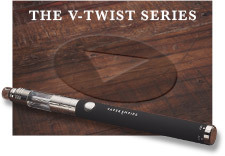 If you want to see the Vibe in action please visit the ‘How it works’ section of the website which includes how to use the device and how to change the coil. Remember if you want to get the most out of your device please change the coils every 2-3 weeks. 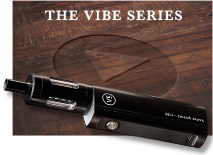 I've been using the Vibe series for about 6 month s and it is the best device for vaping I have used to date. 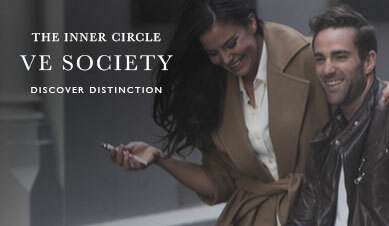 It's sleek design, ease of use and robust build quality is fantastic. Have tried many different Vape products but the Vibe series Vape has been without a doubt the best product I have ever used. Battery lasts a long time and is very reliable. The customer support is outstanding with quick and knowledgeable responses and if anything goes wrong the support team is very quick to help and resolve issues. 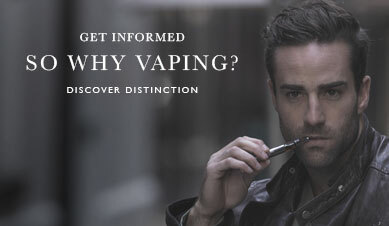 Anybody who has a nicotine habit is mad if they don't find a reliable no fuss delivery system that doesn't let you down. Has met my requirements and most probably saved me a lot of money. This is a great model to use. The other models seem to be so fragile.. I've accidentally dropped my Vibe on the concrete 5 times and its survived and remained fully functional! Fantastic product, have tried other products but nothing beat's the VIBE. At the moment 1 tank lasts me 5-7 day's and i was a heavy 30 year smoker.